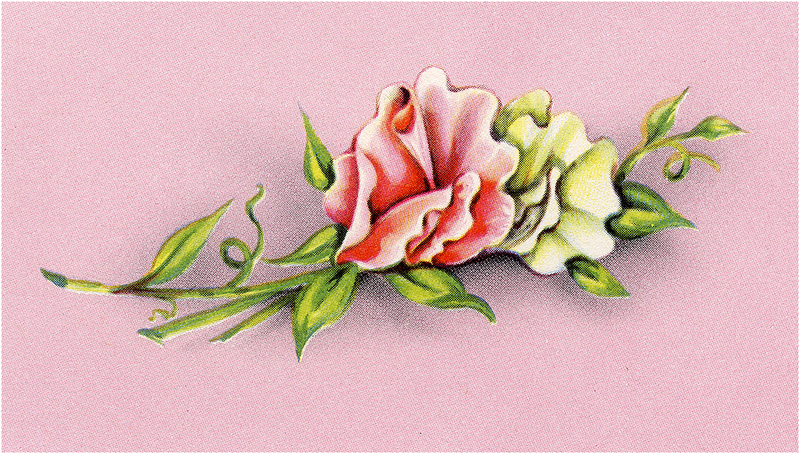 Lovely Retro Pink Floral Card Image! Today I’m sharing this Lovely Retro Pink Floral Card Image! This is a lovely image of a stem of white and red flowers and leaves on a pink background. So nice to use in your Floral Craft or Collage Projects! « Four Vintage Wire Hoop Cage Skirt Diagram Graphic!